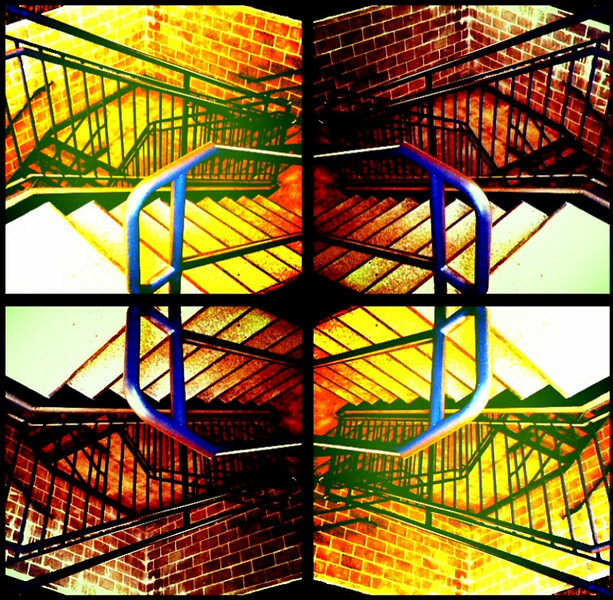 Taken with my iPhone, this is a stairway in a parking garage and some crazy pp, also on the iPhone. Makes a really neat design! Wow this is really cool almost like a kaleidescope :-).